FUKAYA, SAITAMA PREF. - About seven years have passed since Miyuki Kano, a 41-year-old former Olympic volleyball player, entered into the world of deaf sports as a volleyball coach, taking over the position of her friend who died of cancer. Kano’s time as a coach has been a success, with Japan’s women’s deaf volleyball team earning the top rank in the world last year. But at the same time, she has felt it is difficult to keep athletes motivated unless deaf sports become more widely recognized in Japan. A chance to change that situation may be arriving as the 2020 Tokyo Games generates interest not only in able-bodied sports but also in athletes with disabilities. While there is no Paralympic category for athletes solely with hearing impairments, the deaf community is not just watching the momentum build from the sidelines, and the Japanese Federation of the Deaf has launched a campaign to bring the Deaflympics — Olympic Games for the deaf — to Japan for the first time. “We don’t want this momentum toward the Tokyo Olympics and Paralympics to end (with just hosting the games). 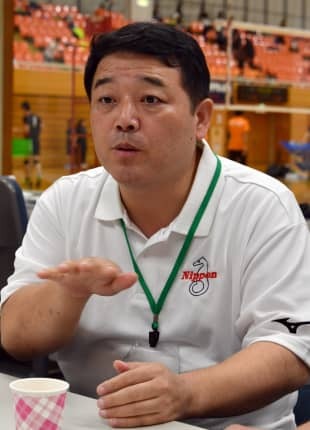 We want to build on it, hoping that light will also shine on deaf sports,” Naoki Kurano, a JFD board member in charge of sports, said at a deaf athletic meet in Fukaya, Saitama Prefecture, in September. The JFD has set its sights on the Summer Deaflympics in 2025, which will mark a century from the first games, originally known as the International Silent Games, in Paris in 1924. The Deaflympics is in fact the second-oldest international multisport competition in the world after the Olympics. It is also the first-ever sports event for any group of people with disabilities, predating the Paralympic movement, which began in 1960. The sports are conducted according to the standard Olympic rules, and the athletes are those with a hearing loss of a minimum 55 decibels in the better ear, which indicates difficulty listening to regular voice levels. As no hearing aids are allowed to be used in the competition, visual devices such as flags and flashing lights play the role of the starting gun and referee’s whistle. Japan has taken part in the Deaflympics since the 1965 Summer Games in Washington, but the country has never hosted the event. Kano, who competed at the 2008 Beijing Olympics, admits she hardly knew anything about sports for people with hearing loss during her playing days. 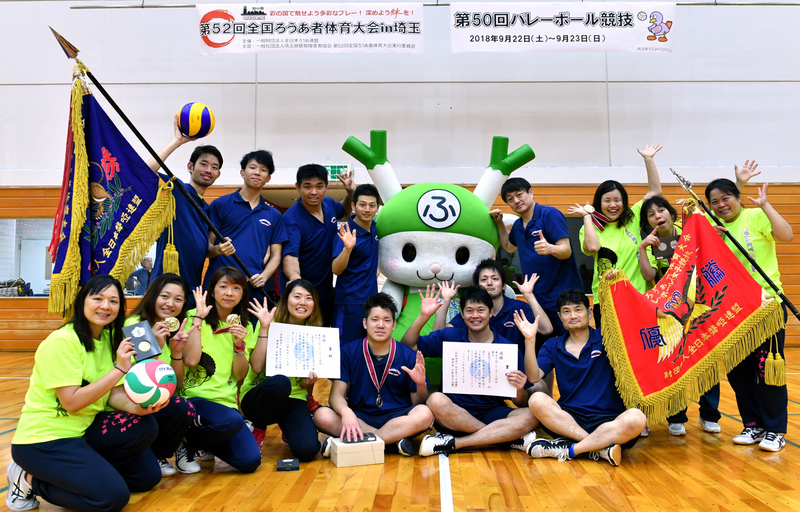 “I kept in touch with a volleyball club (member) of my alma mater who is younger than me, and he was coaching (the women’s national deaf volleyball team), so I knew that such a thing existed,” she recalled during a recent phone interview. That soon came to pass. Kano was planning to assist Imai in a training camp the following month, but he could not make it and Kano ended up filling his position three months later in October. Finding herself inside a group of deaf and the hard-of-hearing people, Kano felt that a hearing person like her was the “minority.” But she said it did not bother her much because she had experience playing on a foreign team in a country with a different culture and language. Yuji Okawa, the head of the Japan Deaf Volleyball Association, said the training has been a trial-and-error process. “Ms. Kano has devised ways to visualize the information she wants to teach,” he said. Kano is usually assisted with a sign language interpreter to communicate with the team members, but she also does demonstrations herself on what moves are right and wrong. She has also used a ball with a rubber string attached to it to highlight how its trajectory changes when an attack hit is blocked, making it easier for team members to think about their next formation. In the 2017 Summer Deaflympics in Samsun, Turkey, which brought together over 2,800 athletes from 86 countries and regions, Japan bagged a record 27 medals, including a gold for the women’s volleyball team for the first time in 16 years. Kano said she has enjoyed the coaching, but has been concerned that the social environment is not necessarily encouraging for the athletes. There is no system in Japan to offer reward money to medalists in the Deaflympics like for those in the Paralympics, who receive between ¥1 million and ¥3 million from the Japanese Paralympic Committee depending on their medals. According to a 2014 study conducted by a research group of the Nippon Foundation Paralympic Support Center, 98.2 percent of the respondents in Japan said they know of the Paralympics or have heard the name, while those who recognized Deaflympics stood at 11.2 percent. Recognition of the Deaflympics in Japan was lower than other countries, including South Korea, Australia and the United States, where the figures were 59.4 percent, 30.1 percent and 25.5 percent, respectively. A common misconception is that deaf athletes take part in the Paralympics, which are well established as the pinnacle of competition for athletes with a range of disabilities. But the deaf can only compete in the Paralympics if they have an additional disability that meets the relevant criteria. “Some say deaf people should aim for the Olympics (which we are not barred from), because we’re physically able-bodied. 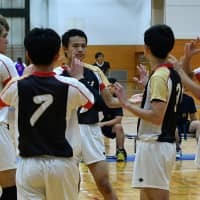 But hearing loss can be a significant disadvantage, such as in team sports in which we cannot rely on verbal cues,” Kurano of the JFD said during an interview conducted using a sign language interpreter. 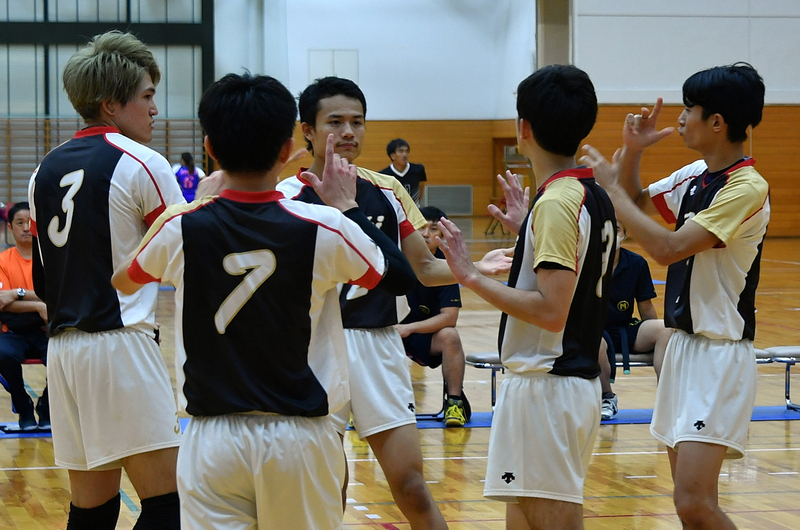 Like other deaf athletes, Toyama, considered a hopeful for the men’s national deaf volleyball team, has to balance work and training. He works at a care facility, but takes days off to attend a training camp once a month, and the employer’s understanding toward the Deaflympics is important for his continued participation. While the deaf community in Japan appears to be united in its bid to secure the Deaflympics, uncertainty remains over its prospects. 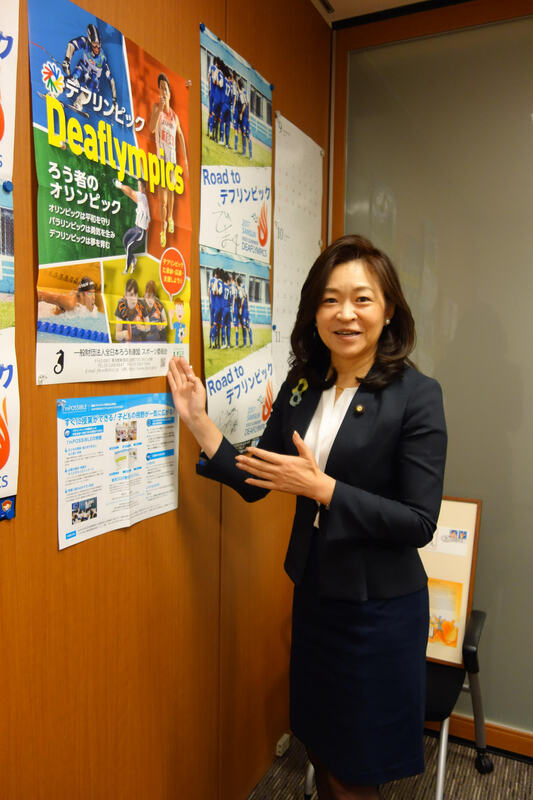 “Because the Deaflympics are not well known, it is not easy to win cooperation from potential locations to host the event and secure funding,” Okawa said. The JFD wants to decide on the bidding city in December 2019 and in the same month submit a bid application to the International Committee of Sports for the Deaf, the main governing body responsible for the organization of the Deaflympics. Yukinori Nakajima of Tsukuba University of Technology, an institute for people with hearing and visual disabilities, said if the bidding succeeds, Japan needs to move quickly to beef up its number of sign language interpreters, which is currently far from enough. The associate professor, who is an expert on disability sports, added that preparations should include measures to “enlighten” Japanese society about people with hearing loss, a so-called invisible disability because it is not immediately apparent. Michiyo Yakushiji, an independent Upper House member and a key member of a group of cross-party lawmakers promoting the Deaflympics, is confident the event is worth hosting. “For the 2017 Samsun games, Turkey made a dictionary of International Sign to train its interpreters who only use national sign language, something they didn’t have in the past. Airport staff and volunteers were also seen communicating with athletes with sign language,” she said. “I was impressed by how a society can change … and I thought this is also what Japan should do,” the doctor-turned-lawmaker said. When thinking about what an inclusive society is all about, Kano, without having noticed herself, possibly gives a hint as to what it means in practice.